We’re in the heart of autumn. The days are shorter, the skies are greyer, but there is still a light from within the trees as they change colour. I wonder if the idea of undercarriage lighting came from brilliant yellow leaves on the grass in fall? The temperatures are cooler too, and so the flavours of the season are crisper and as a result. In the spring, I enjoy the first green flavours from the warming sun – peas, baby greens, and asparagus all taste like new life fresh from the garden. In the summer, the longer brighter days allow for rich, luscious flavours and sweet aromas – peaches, tomatoes, and corn are decadent in their intense juiciness and complex flavours. 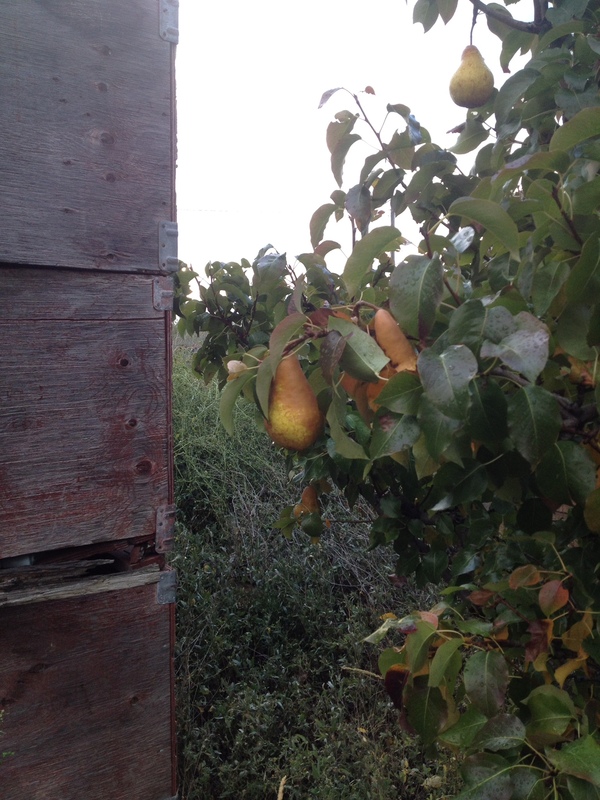 In the fall, the bounty begins to diminish and I savour the squash and pears and plums. 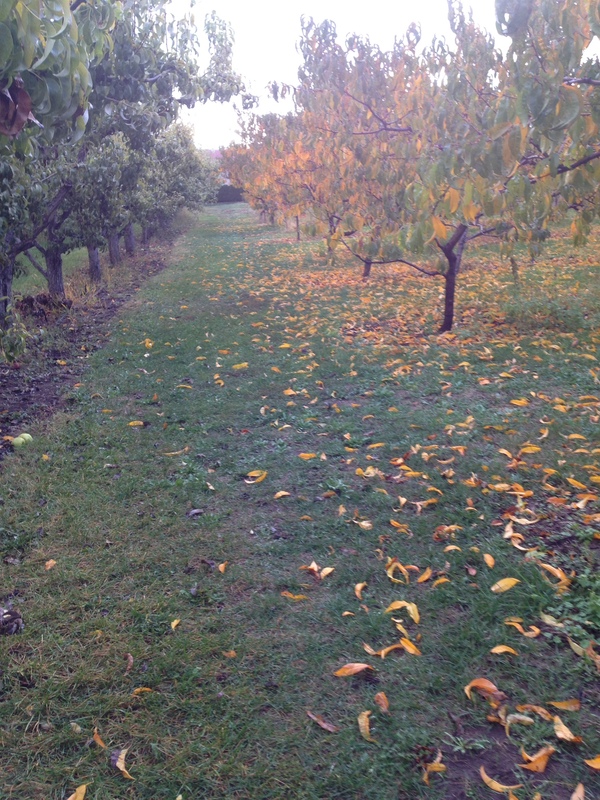 I am lucky enough to walk through a veggie garden and fruit orchard every morning. I am trying hard to gather the last of the freshness before winter arrives. We have been drying herbs, pickling beets and peppers, making chutney and jam, drying mushrooms, and freezing all kinds of goodies. Today I ate one of the last Bartlett pears still hanging on a tree, and I made a Plum Torte with the very last of the plums we had. I was wistful as I stood in the orchard, the floral perfume of the pear filling my mouth and the crisp bite lingering on my lips and the low rays of sunshine lighting the leaves. The winter flavour for me is quince. The fruit are still on the trees now, awaiting the first frost before they reach maturity and show off an elegant lemony tang along with an exotic perfume that belies its gnarled exterior and rock-hard raw interior. But until then, I’ll make the most of the last of the bounty. If you can scrounge some plums, you can join me! I love pumpkin pie. Turkey is nice, homemade stuffing can be delicious, and good gravy is an art. I like the variety of flavours on a Thanksgiving plate with all the side dishes, but my true passion has always been pumpkin pie. It is one of the foods that got me cooking. You see, my Mom hated making pastry. As a result, she avoided it whenever possible. She is also not a real fan of pumpkin pie in particular, so when one year she mentioned not making it for Thanksgiving I stepped in to avoid a serious break in tradition. (I think I was 12.) I offered to make the pie. I figured, how hard can it be? Well, pastry is something that I don’t mind. My Mom says the talent of achieving tender flaky pastry is one that skips a generation. I think she was just buttering me up, although that never occurred to me at the time. The pastry was easy enough; it was the scalding of the milk was what scared me. But I pulled through, and followed the recipe. Then, after tasting the filling, I took my first leap as a gourmand and kicked up the spices a notch. The rest, as they say, is history. When we served up the pie that night after dinner, it sliced up beautifully. I was amazed at how the custard held its shape and yet tasted fluffy. 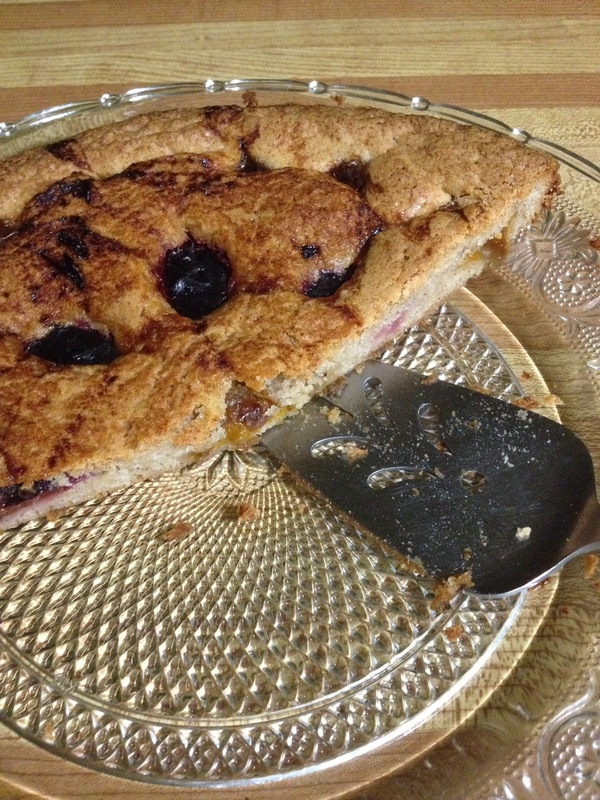 The spice and sweetness were well balanced, and the pastry was rich and flaky. 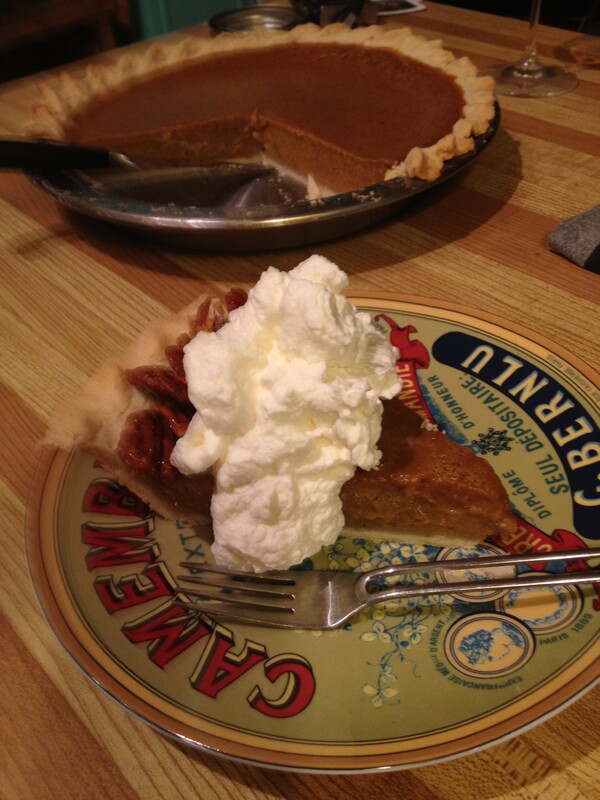 I was pleased, and when my Mom said it was the Best Pumpkin Pie, Ever I was over the moon. And I never looked back, baking up a storm from that autumn onward. When I had to make traditional Thanksgiving dessert for the film crews during my movie catering days, I confidently pulled out my old favourite, and it was always a hit. I don’t know if this recipe will cause an epiphany at your house this Thanksgiving, but it’s easy enough to do and it has character. I hope you can enjoy it half as much as I do 🙂 I am truly grateful I am able to share it with you. Oh, and for those who might like a gluten-free version or who don’t like pastry, you can make the filling in ramekins or other ceramic or glass dishes, it makes a lovely dessert. Just watch the time as smaller containers will cook faster.